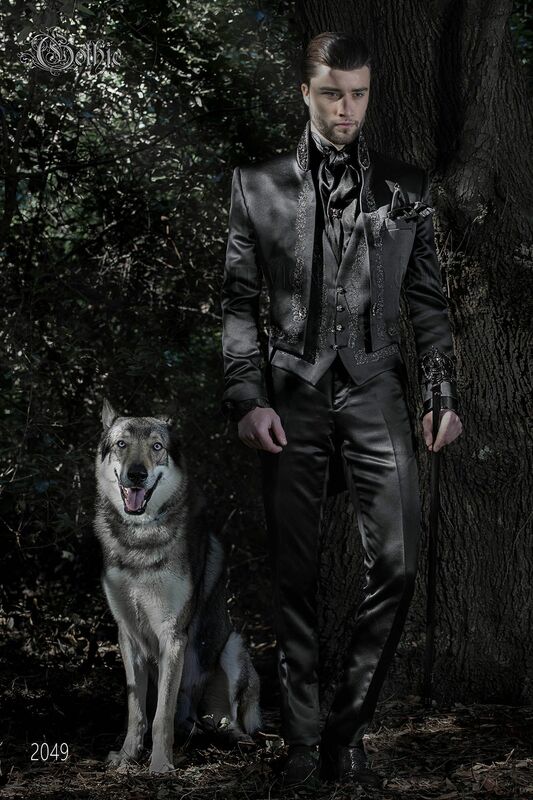 Black satin tailcoat jacket with smoky grey embroidery, mandarin collar with beards trimming and smoky grey rhinestone f... Black satin tailcoat jacket with smoky grey embroidery, mandarin collar with beards trimming and smoky grey rhinestone frog closure. 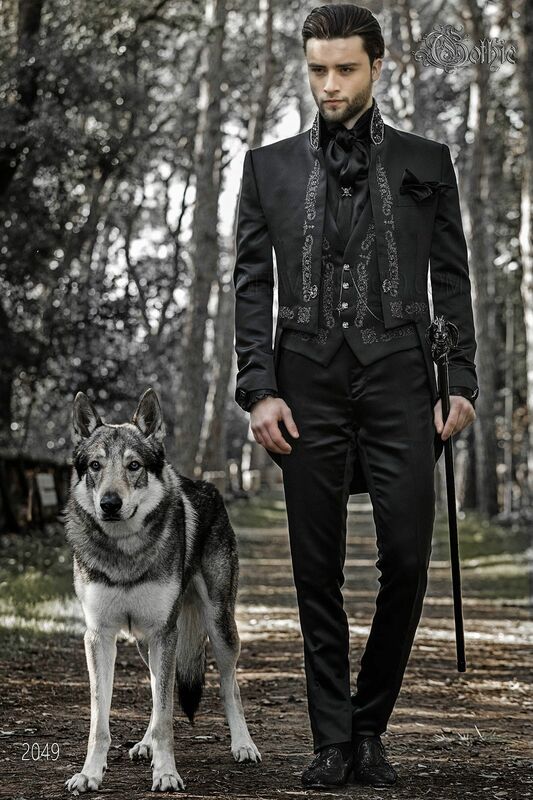 Black satin waistcoat with smoky silver embroidered meander and 4 ONGala customized buttons. Scarf and handkerchief set made from black satin. Edging. Baroque-style gunmetal grey cufflinks with drop design and central smoky grey rhinestone. Tie pin with black skull and crystals. Protective cap included.